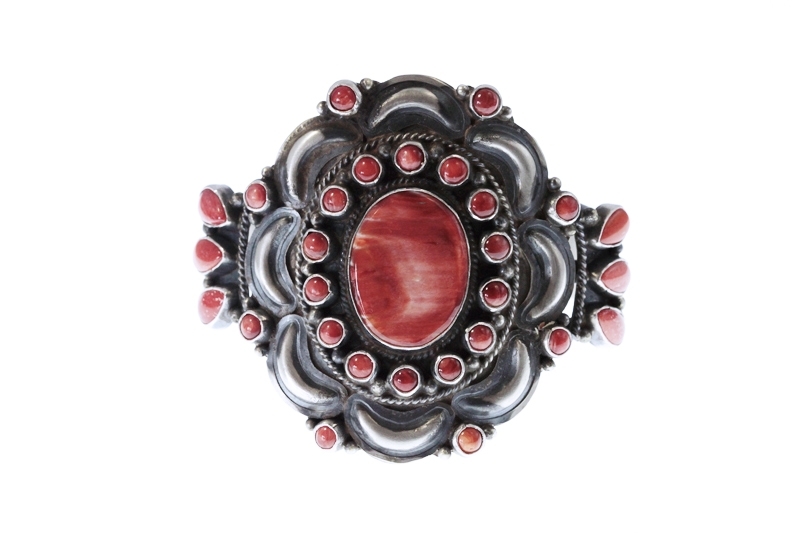 Handmade sterling silver cuff comprise vibrant red spiny oyster cluster. Round & oval shapes individually housed in a smooth bezel. Oxidised (silver darkened ) base is overlay repousse’ crescents & small appliqued balls. The inside measurement is 6 1/4″ (including gap 1″) Can be adjusted slightly and gently.